How resilient is your business? Is it equipped to cope with a natural or man-made disaster? Are you confident that your IT infrastructure and data security is protected and resilient enough? The Collins English Dictionary defines ‘disaster’ as “a sudden accident or a natural catastrophe that causes great damage” and “an event or fact that has unfortunate consequences”. With extreme weather conditions, such as flooding, unexpected power cuts, security compromises and hardware failure, there are a multitude of things that will test your company’s resilience and interrupt business continuity. Most public and private organisations rely on IT information management systems and cannot afford unplanned and prolonged downtime. If you have already have a plan established, then your organisation will be able to quickly recover from unexpected disasters, ensuring continuity for your business. However, if you are not prepared, then a minor inconvenience can soon become a major catastrophe for your company. Read on to find out why you should have an IT plan and how to ensure your business is prepared and resilient enough to cope with the unexpected. Ask yourself this question: If I suddenly lose my IT systems and data, can I continue to run my business? Unless you only rely on pen and paper, it is highly likely that your answer to this question is ‘no’. Not having a plan can have severe consequences for your company. Your clients expect you to take care of their personal and financial information and store their data securely. Without a plan, you are failing your clients. Do you really want to risk your hard-earned, trustworthy reputation? Furthermore, without a plan, you are putting your organisation at risk of high financial costs; exposing your clients to greater risks. This is why many companies are protecting their future (and their data) by establishing a dynamic and proactive business continuity plan and using secure and offsite locations to store their precious data. With 33% of smartphone users in Ireland and the UK relying on their phone to access the Internet (OFCOM 2015), people expect instant access to information. Your clients feel the same: if your company’s server failed, how would you continue trading? Like most businesses, your working processes, client databases, financial information and workflows are stored electronically. If you lost your computer network and system data (e.g. customer contact details, orders, payroll and accounts), then it is highly likely that your staff would find it impossible to maintain an excellent level of customer service. In short, your operation would grind to a halt. This horrific scenario can be avoided by establishing a plan for your company. “If you fail to plan, then you plan to fail.” This old saying sums up the problem of not setting up a plan. Don’t make the mistake of shortsighted organisations, which learnt too late the value of protecting their systems and data. If time is money, then every second your organisation loses money through unexpected downtime or unforeseen events not only reduces your profit margins, but also damages your company’s reputation. Planning for disaster recovery means you are protecting your organisation, and reducing the risks and consequences of unexpected disasters. 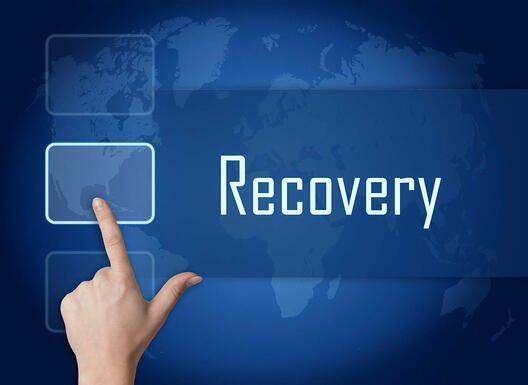 What does a Disaster Recovery Plan do? A good recovery plan should include provision to minimise any damage, as well as detailing the exact steps needed to restore your systems quickly, reducing any ‘lost time’. In practice, this means setting-up a frequent backup of your data and ensuring that this is updated and securely preserved. Alternatively, without a disaster plan, it is likely that you would lose all of your company’s data and be in breach of the Data Protection Act. You wouldn’t let your optician perform keyhole surgery on your knee, so why would you entrust your organisation’s reputation and information management systems with just anyone? You want to work with an expert: a reputable and IT supplier that possesses in-depth knowledge and vast experience of business continuity planning. They will be able to offer impartial and strategic advice, so you can customize and create a bespoke disaster recovery for your business. They will work with you to evaluate your current provision and identify and implement the necessary mechanisms for your plan. To find out more, download our free whitepaper on Disaster Recovery.